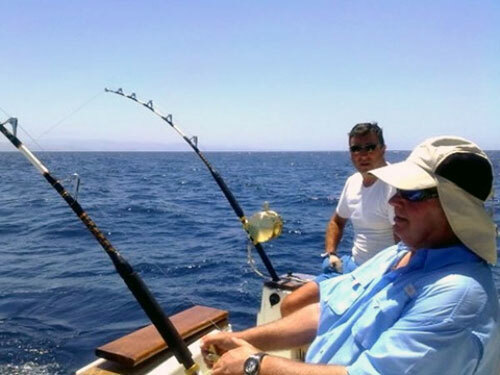 Fishing trips suitable for every fishing experience level, including the big game enthusiast. Fancy a day out on the water away from the hustle and bustle? Costa del Sol is considered one of the most varied fishing venues in the world due to the influence of the warm currents of the Mediterranean Sea and its proximity to the Atlantic Ocean through the Straits of Gibraltar. There are a wide variety of species that can be found here from Snappers to Groupers and Tuna to Marlin. The Mediterranean and Atlantic waters were once popular grounds for several types of Shark, whilst they are no longer a common catch they are still caught occasionally. Depending on the duration of your fishing charter, your experience, time of year and weather conditions we have different types of fishing trips.